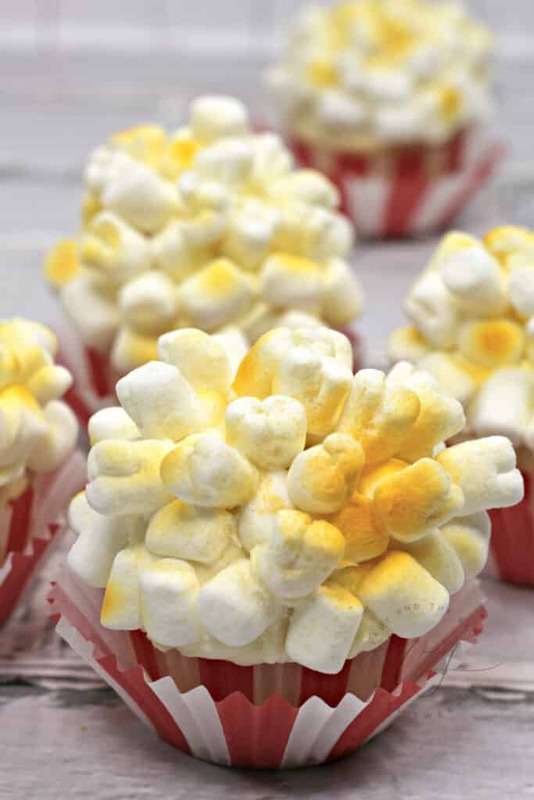 The Dumbo movie is soon to release and I thought it would be fun to celebrate with these adorable popcorn cupcakes. Dumbo 2019 is already pulling at my heartstrings. Have you seen the trailer yet? Oh my goodness – all the tears? What do I like to do when I start to feel emotional? That’s right – indulge in a sweet treat and plan a trip to Disney World. LOL! Popcorn desserts are usually salty, but this treat is anything but. While watching Dumbo 2019, grab one of these delicious and adorable creations and fall in love with those big ears all over again while indulging on marshmallow goodness. You can make your cupcakes from scratch, but this post is more about decorating than it is about showing you a new recipe for cake. So, for your shopping list, throw in a box of cake mix and call it day. I rather you spend your time worrying about presentation for this dessert. The kids are going to FLIP OUT when they see this showstopper. YEOW! 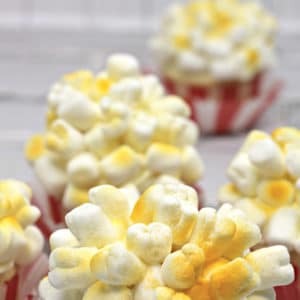 I mean… not for nothing, but I have a feeling your adult friends will get a kick out of these popcorn cupcakes as well. Preheat oven to 350 degree and line cupcake pan with cupcake liners. Using a standing mixer, mix all cupcake ingredients together until combined. Follow the cupcake directions as listed on the back of the cake box. Fill liners 3/4 of the way and bake in the oven for 21 minutes. Remove cupcakes from the oven and allow to cool completely. Empty the bag of mini marshmallows into a large bowl. Begin making marshmallow “popcorn”. 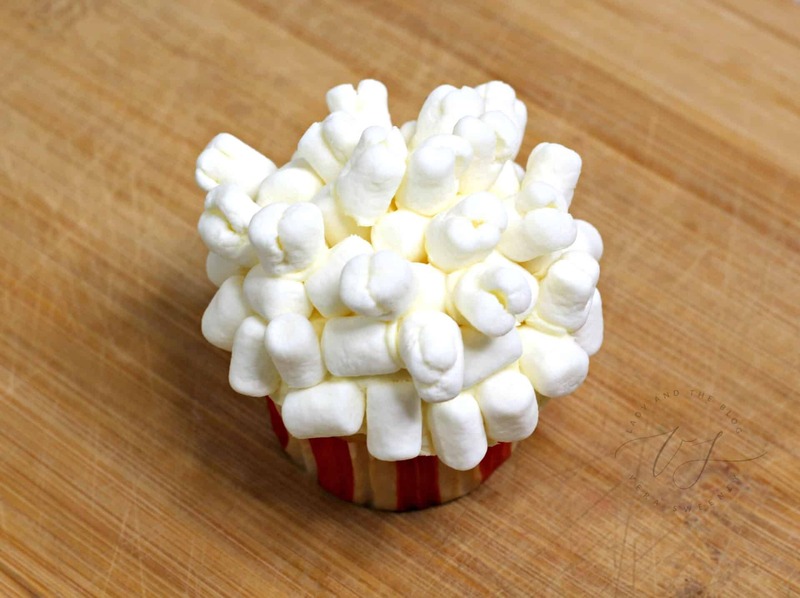 Using your scissors, snip the top half of each marshmallow 3 to 4 spots. Doing this will make them look like freshly popped popcorn kernels. Set the prepped marshmallows aside. 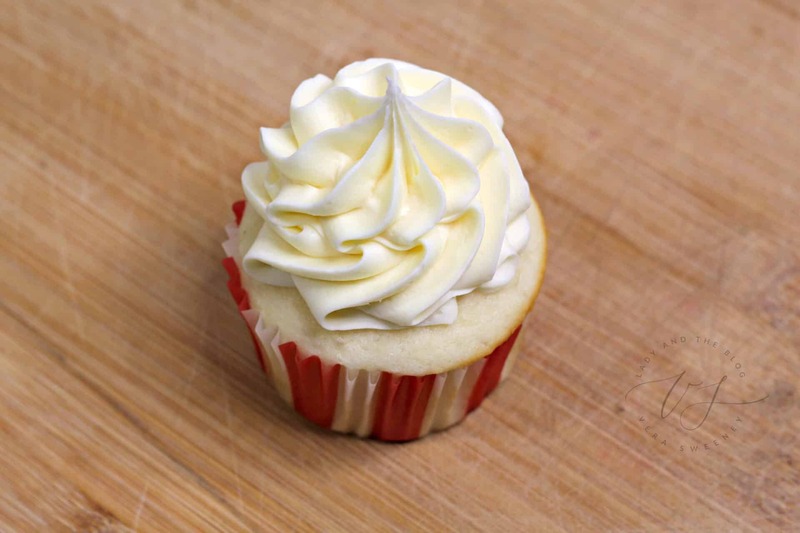 Using a standing mixer, combine all ingredients until creamy and stiff peaks form. Scoop into a piping bag with a medium star tip. Pipe frosting onto the cupcakes. Begin sticking the “popcorn” onto the frosting to make it look like a mound of “popcorn”. Once done sticking on the popcorn, spray spots yellow to make it look like butter. 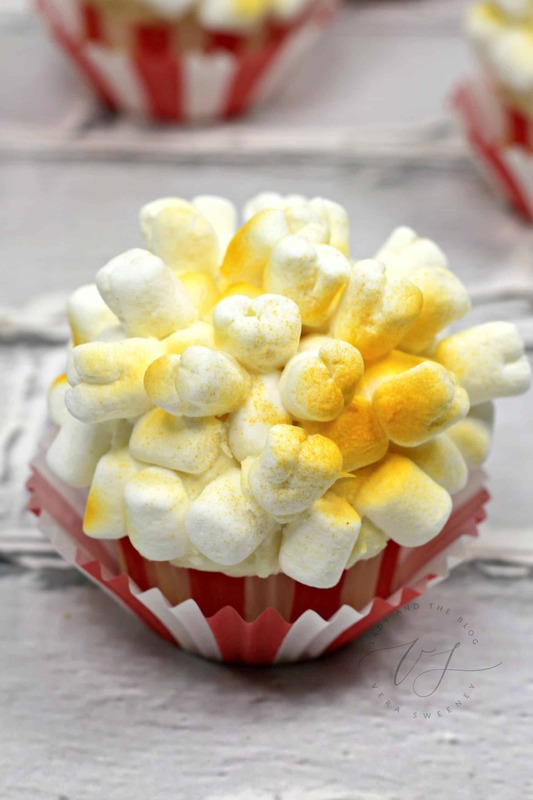 This popcorn dessert is so much fun and just perfect for the Dumbo movie. 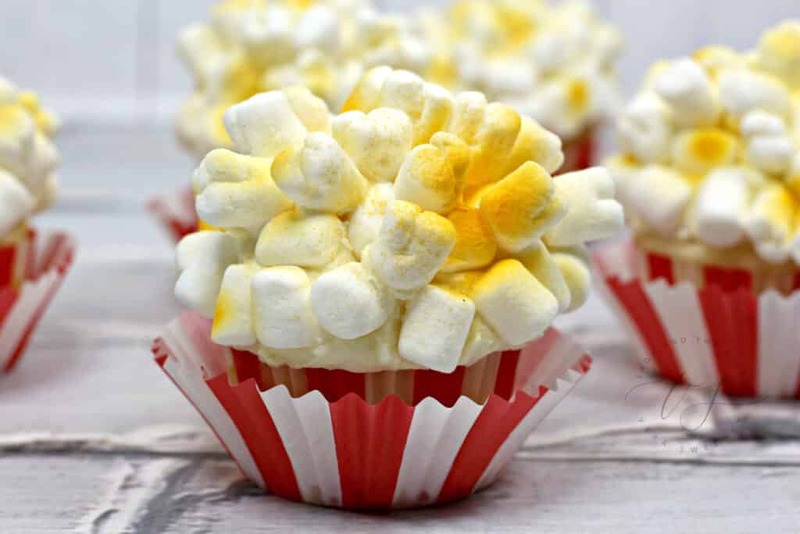 Is Real Popcorn Used In These Cupcakes? No! The popcorn is actually marshmallows! So much fun. But if you’d like, you could put a few pieces of popcorn on the cupcakes to give it that crunchy texture that popcorn lovers crave. It will just give this dessert an entirely different feel and taste. I cannot wait to take my children to see the Dumbo movie! Dumbo 2019 is going to be so different from the original – I can just tell. The main plot will be the same, of course, but I think how we arrive to the end will be unexpected. If you are looking for more movie-related dessert fun, be sure to check out my Disneynature’s PENGUINS Cupcake Craft For Kids. By the way, these would make a GREAT party addition if you are having a circus themed birthday party! So, if you are looking for circus cupcakes, then this would WORK! Circus birthday parties are super fun. It’s not all about Dumbo when it comes to popcorn. Popcorn works for many different occasions! Think outside the box. Pipe frosting onto the cupcakes. 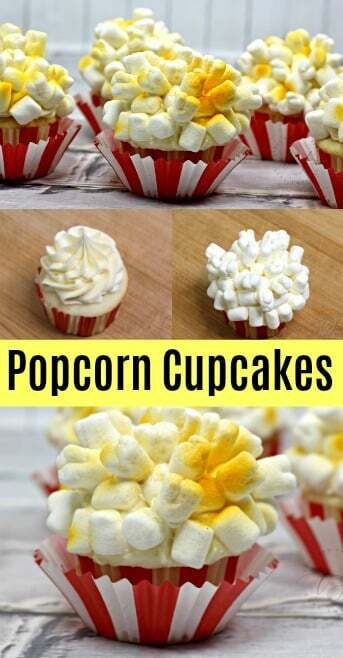 Begin sticking the "popcorn" onto the frosting to make it look like a mound of "popcorn". Once done sticking on the popcorn, spray spots yellow to make it look like butter.